Following the hat-trick of hits, young Mega hero Sai Dharam Tej is coming up with an action entertainer titled Thikka. The film’s stylishly shot teaser was released recently to a decent response from Mega fans. Thikka’s shooting has been wrapped up last week and currently, the movie’s unit is busy with the post-production work. 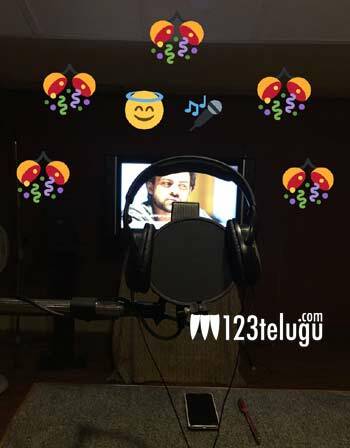 Yesterday, Sai Dharam Tej completed dubbing for his part and the young hero took just four days to wrap up the formalities. Directed by Suneel Reddy, Thikka has been produced by Rohin Reddy. Larissa Bonesi and Mannara Chopra will be seen as the film’s female leads. Thikka is slated to hit the screens on August 13.